The FAI has said that it is taking "many urgent steps" to address governance and financial issues, including the creation of a new governance committee and the commission of an independent review. In a statement released this evening, the association's board said it will give additional information sought from it by an Oireachtas Committee by tomorrow - and that the board will meet tomorrow to review the situation. "The board of the Football Association of Ireland notes the comments made today by the Minister for Tourism, Transport and Sport, Shane Ross, and by Deputy Fergus O'Dowd, chairman of the Oireachtas Committee on Sport. "The Association wishes to assure all parties that it is taking many urgent steps to address its current governance and financial issues. The board of the Association will meet again tomorrow to review these steps," the statement said. "The FAI has also commissioned the financial firm Mazars to undertake an independent review and the board will move as quickly as possible to adopt any recommendations of corrective action necessary." 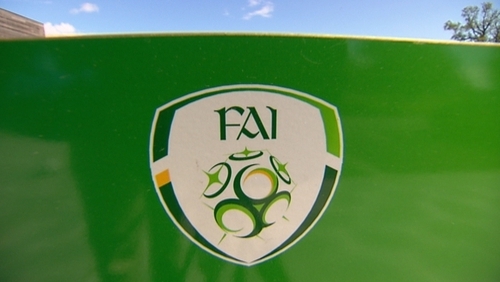 The statement said the FAI is working to establish a new governance committee with additional independent members. And it is planning to appoint an independent person to the committee of the board examining the current issues. The FAI also said it is working to restore the trust of its stakeholders, including the Minister and Sport Ireland as soon as possible. And it said it wants to ensure that all those who play football across Ireland do not suffer as a result of the actions of the Association. The statement added that the €2.7m funding that Sport Ireland provides to the FAI and the Sports Capital Grants are crucial to football, and every step will be taken to ensure these continue at the earliest time possible. Earlier, the Minister for Sport warned the FAI that it may not be eligible for new large capital sports grants if its corporate governance is not in order. Shane Ross said that he has "ongoing concerns" in relation to corporate governance at the association, as well as concerns over "the circumstances surrounding a financial transaction". Finances at the association have come under further scrutiny following reports in The Sunday Times about what they claim are John Delaney's expenses. Speaking to RTÉ News, Mr Ross said the whole board of the FAI has "very serious questions to answer" and that he is "deeply concerned" about their performance before on Oireachtas committee last week. He said the Government needs to look at how the FAI is running the organisation and if they do not answer the necessary questions, they may not be eligible for future State funding. Mr Ross also said that the FAI has not answered the questions that are necessary about corporate governance, and the Association will not get any money if it is "not in good standing" when it comes to corporate governance. The trade union SIPTU has warned that dozens of jobs could be at risk at the FAI because of the suspension of Sport Ireland funding. SIPTU Sport Sector Organiser, Denis Hynes said that 57 football development officers whose roles are directly funded by Sport Ireland grants are fearing for their futures. He said that his members want the board of the FAI and John Delaney to stand down so that the funding can be restored to protect both the jobs and grassroots football. Minister for Finance Paschal Donohoe said that Minister Ross is correct to raise concerns about Government funding for the FAI. Speaking in Washington today, Minister Donohoe said that soccer is an important sport in Ireland but also a sport that receives a large amount of taxpayer funding. "Both Minister Ross and Sport Ireland have really serious questions they want answered and I'll support them in any decisions they believe are appropriate," he said. Last night, friends of the former FAI CEO said that he was stepping down from the Association. It followed reports that talks about his future had been taking place at FAI headquarters at Abbotstown, after a number of board members were said to be wavering in their support for him. A friend of John Delaney told RTÉ's This Week that the FAI will decide tomorrow whether to accept Mr Delaney's resignation. John O'Regan, honorary secretary of the Kerry District League said he was in contact with John Delaney yesterday. "He sent me a text to let me know that he was standing down from his position in the FAI but would be staying on in UEFA. "Later on the in the day he rang me stating that he wasn't gone yet, but that he had tendered his resignation to the board and that they were considering it on Monday." He said Mr Delaney sounded "a bit downbeat" during their conversation "but there seemed to be a bit of relief in his voice". He added that Mr Delaney had offered his resignation, and was now waiting for a response from the board. "I'd say he's looking forward to the decision on Monday." In the days since the FAI appeared before an Oireachtas committee, the Taoiseach, other politicians, professional players, grassroots organisations, sponsors and fans have piled pressure on the FAI. A number of protests against the FAI took place at League of Ireland football matches around the country on Friday night. The reports by The Sunday Times are likely to put the association under even more scrutiny ahead of the appearance of Mr Ross and Sport Ireland before an Oireachtas committee on Tuesday.